Conceal, correct and contour like a pro with this beauty addicts favourites concealer. The long-wearing formula camouflages darkness under the eyes, redness and skin imperfections. 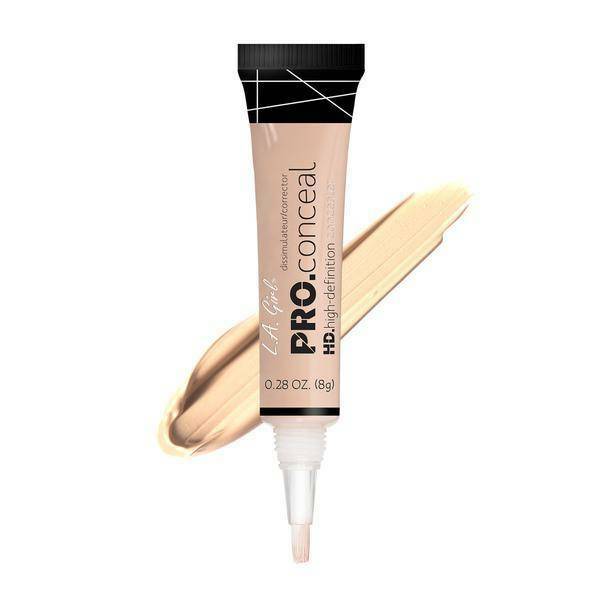 Provides complete, natural-looking coverage,evens skin tone, covers dark circles and minimizes fine lines around the eyes. The concealer is a a tube with a small brush on the end in order to be able to arrange the concealer evenly and precisely. Buy the LA Girl HD Pro Conceal Almond online at boozyshop.